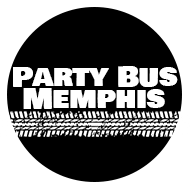 Party Bus Memphis proudly services the counties of Shelby, Tipton, and Fayette, and more! In fact, you'll find that our service area covers most of Tennessee. You can find a brief listing of where we service below, but this is just to give you a general idea and is by no means a complete listing. That being said, don't worry if you don't see your city listed below, just give us a call and ask! Our service knows no bounds!